Do you know how to get the best deals this month? We can tell you What to Buy in December. It is the most stressful…I mean wonderful time of the year! There is the faintest chill in the air, even here in Florida, and we’re all beginning to feel a little bit of the holiday spirit. While Black Friday has come and gone, there are plenty of deals still to be found as we check off all those special people on our gift giving lists. So, about that chill I mentioned earlier. While we certainly enjoy the change in weather, there is one business that does not benefit – swimming pool installers. This time of year, the demand to have pools put in plummets. As a result, prices are reduced to entice customers who have been contemplating this big-ticket addition to their home. You definitely want to get multiple bids and don’t hesitate to negotiate. The seasonal slow down puts you in a perfect position to ask for a better deal. Another product category impacted by cooler temperatures is summer sports equipment. While we still have plenty of good weather, people living in most other parts of the country are not exactly in the mood to go out golfing or to hit the tennis courts. Many stores will deal with the drop off in purchasing by discounting this year’s remaining sports gear as they prepare for all next year’s models to start arriving in the early part of 2015. If you and your significant other have been considering taking up golf to have a little fun together, a set of clubs might be what you want to put on your Santa list this year. Golf could be considered a kind of workout, right? And if we were to start talking about other forms of working out, a popular place for such activities is a gym. Come January when everyone starts following through on their New Year’s resolutions, a new gym membership isn’t likely to be at bargain rate. But, right now, while most people are busy putting on those few extra pounds they’ll be looking to lose in January, going to the gym is about the last thing on their minds. Get a jump on your own resolutions and sign-up for a new membership now. Many gyms will have promotional offers trying to salvage the December slump, and you are likely to find some of the best pricing of the year. Consider it a win/win – savings gained instead of pounds. Okay, so let’s move on to the big shopping event of the month – Christmas. If you’re like me, by the beginning of December you’re lucky if you’ve gotten even a little bit of your holiday shopping done. As parents, for once our procrastination is likely to be rewarded. While Black Friday does deliver some of the best deals of the season on electronic gadgetry, it isn’t until December that the serious toy sales begin. Keep an eye on your mailbox for coupons in promotional flyers from popular big box stores like Target, check store circulars or even look for “text to save” offers posted in stores themselves. Combine the sales with the special coupons and offers and you may find you save 50% or more on all those must have toys that your little elf is asking Santa to bring this year. In addition to toys, there will be sales and discounts for many other popular gift items. While the bargains might not be the absolute best of the year, they still will be pretty good. Just be sure to take advantage of today’s technology and use a price comparison app like Red Laser before you buy. You may be able to get a cheaper price by ordering an item online or driving across the street to a competitor. Oh and if you’re ordering online, do a quick Google search for free shipping codes. They are everywhere during the holidays, and while it may require a minimum order, it is at least worth a try. Shipping fees can really add up. We’ve covered What To Buy In December, but if I were to tell you what NOT to buy in December, I would suggest you put off purchasing TV’s and most other major electronics like digital cameras. If you can wait until February, you’ll likely walk away with a whole lot more money left in your pocket. Also, don’t update your winter wardrobe just yet, as the clearance sales on clothes wont’ start in full until January. Lastly, while diamonds may be a girl’s best friend, they are no friend to your budget this time of year. 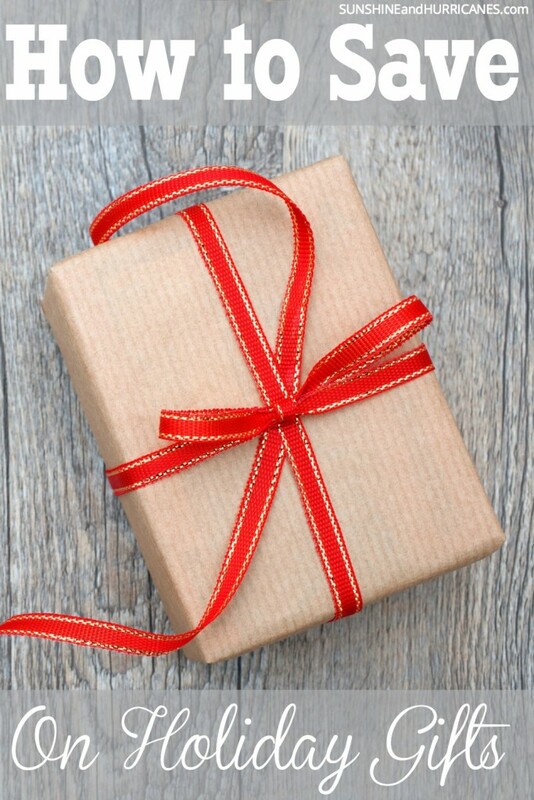 Although, if you happen to be a guy reading this, you will ultimately need to weigh the price you’ll pay for a much hoped for tiny box not being under the tree against any money that might be saved. Once December 25th has come and gone, if you find you have depleted your stash of gift wrap, tags and other trimmings, then the time to re-stock is now. The same goes for any holiday décor you may want to add to your collection or replacement Christmas lights you may need (it’s so annoying when on bad bulb ruins the whole bunch isn’t it?!) Clearance sales will happen quickly with discounts going from 25% off to 75% off in a matter of days at some stores. Stay on top of it and you’ll be sitting pretty when Christmas comes around again, which will happen in no time at all. 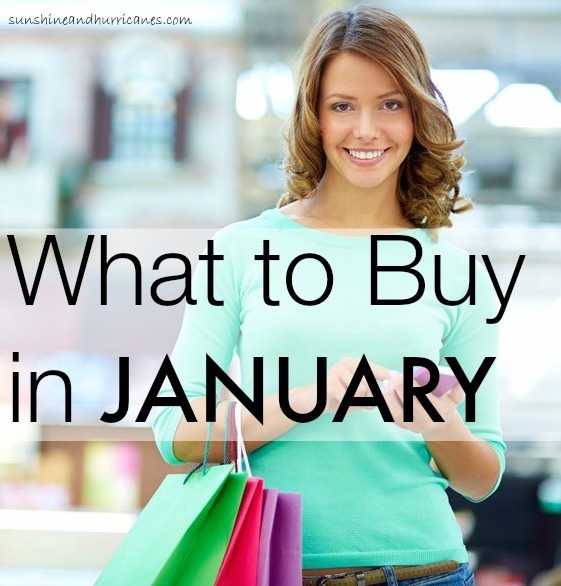 I’ve truly enjoyed sharing all the best buys of each month with you during this past year. I hope you’ve found the information useful and that it has helped you to save money and better manage your family’s budget. I’d like to wish all of you the Happiest of Holidays and All The Best in The New Year. Looking for MORE ways to save this holiday season? Do you have anything else to add to our list of What to Buy in December?